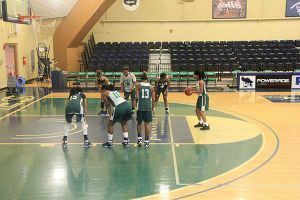 Preparation and attention to detail paid off in a big way Saturday, Jan. 7, when the Pensacola State Lady Pirates bested Tallahassee Community College 100-89. The Lady Pirates basketball team improved to 16-1 overall and 1-0 in Panhandle Conference play. Now ranked 15th, the Lady Pirates beat 11th ranked Tallahassee in the opening game of conference play. The men fell 79-62 against Tallahassee. Penny Johnson, the Lady Pirates coach, said she was proud of the team’s performance. “The Panhandle Conference is different, every team is ranked, so we knew we were facing a challenge when conference play started. We knew we had to execute in the stretch and follow through,” Johnson said. Four Lady Pirates scored in double figures against Tallahassee with Autumn Jones leading the way with 21 points. Ahiyona Vason recorded a double-double by scoring 19 points and 11 assists. For the third consecutive game, Nia Johnson scored 16 points while Mylashia Yancey contributed 16 points and 8 rebounds. Yancey, one of seven freshman on the team, said the win over Tallahassee was a huge morale booster. “Everything Coach Jones has been instilling in us – discipline, working on our shooting, practicing and playing hard, focusing – came together during the game,” said the 20-year-old from Ashburn, Georgia. Despite the loss, the Pensacola State men’s team kept the score close at half time, but shot only 27 percent in the second half. The Pirates were led by Cameron Allen with 21 points, 5 assists and a steal. Kani Coles finished with 10 points and 7 rebounds, 3 assists, 3 blocks and a steal. The men are now 10-7 overall and 0-1 in conference play. Pete Pena, the Pirates basketball coach, said the team members were working to improve. “It’s really the small things that we’re working on, the concentration level, for our players,” he said of the team which has a majority of freshmen and two sophomores. Both teams face Northwest Florida State in Niceville on Wednesday. The women will play at 5:30 p.m., followed by the men at 7:30 pm. 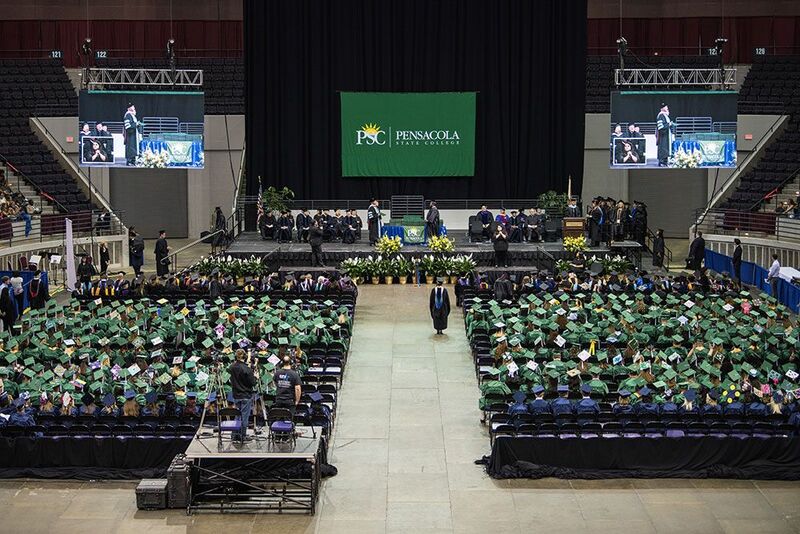 The Pirates’ next home game is set for Jan. 18 against Gulf Coast Community College.